Let's get started with the review.Shall we? A global beauty care brand, L’Oréal Paris believes in the essence of helping every woman embrace her unique beauty while reinforcing her innate sense of self-worth with their internationally renowned, diversive products. The brand has wide range of affordable luxury, high-quality products in categories like skin care, hair care, hair color and makeup. With the new L'Oreal Paris Micellar Water, now remove every trace of make-up, dirt, oil & pollution effortlessly and on the go, in just one swipe. 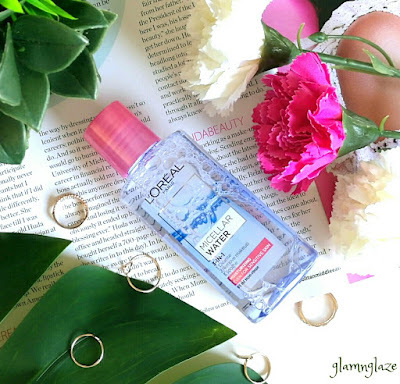 Unlike other cleansers, Micellar Water requires no rinsing. Powered by micelle molecules that cluster together to surround and lift away impurities and makeup with no rinsing or harsh rubbing. Removes every trace of makeup. According to board-certified dermatologist Hadley King of Skinney Medspa, micellar water is made up of micelles (tiny balls of cleansing oil molecules) suspended in soft water. “The idea is that micelles are attracted to dirt and oil, so they are able to draw out impurities without drying out the skin,” she says. Therefore, micellar water can be used as a facial wash, makeup remover and moisturizer all in one. “It looks like water, it has the viscosity of water but when you put it on your finger and feel, it has a different texture than water,” says Tabasum Mir, a skincare physician in cosmetic dermatology and cosmetic laser surgery. Instead of foaming and stripping your complexion like soap and cleansers, micelles dissolve the bad stuff, while keeping the good stuff on your skin intact. 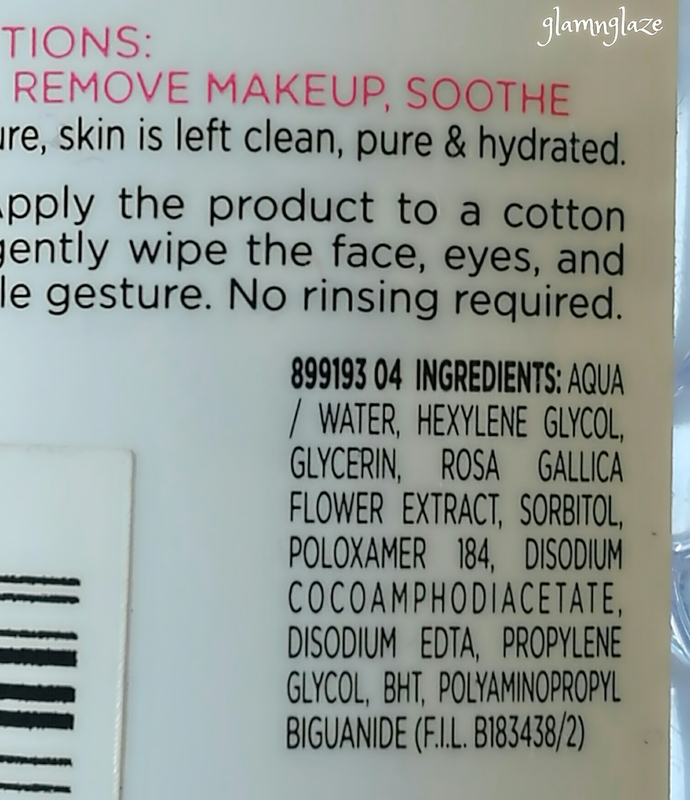 In layman's terms, micellar water is a product apt for removing makeup,dirt,gunk etc. from your skin. Attractive packaging.Product comes in a plastic cylindrical bottle that has got a pink coloured plastic cap.We need to squeeze out / tilt the bottle to get the product from the small nozzle.The packaging is very travel friendly and sturdy.Easy to carry along while travelling.The details like ingredients,quantity,shelf-life etc are mentioned on the packaging itself which is a good thing. 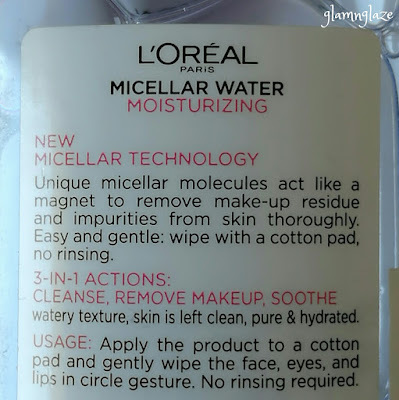 The micellar water has a liquid-consistency(obviously).It doesn't smell of anything in particular.The texture is not oily or greasy,it's somewhere in between.Non-sticky.Love the formula,it's very lightweight and effective.Not strong or harsh on the skin. Glycerin is one of the key ingredients and may be that's why this product keeps the skin moisturized. Firstly,the consistency is liquid(y) so,it becomes very easy to work with.Easy to apply on the cotton pad and clean out the skin. It didn't break out my sensitive skin.Skin felt soft. Didn't cause any skin rashes.Be careful and don't rub the cotton pad too hard,else skin-irritation might happen.Be gentle. Didn't leave any sticky cast on the skin. For eye/lip makeup : use one-two cotton pads...that's sufficient.Take the product on a cotton pad generously and apply gently on the eyes/lips.Wipe in circular motions. 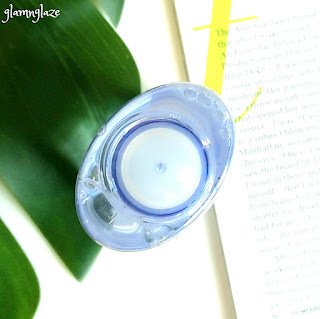 Removes waterproof makeup in a jiffy! Might need to use more product on the cotton pad to remove makeup(full face). Ideally, two to four cotton pads are sufficient(depends though). 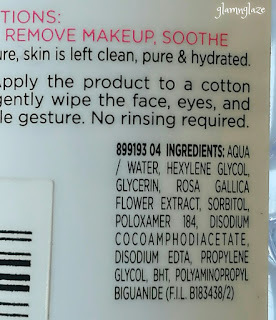 This micellar water requires no rinsing.Very true. Yes,definitely.Bottom line is cleanse, remove makeup and soothe as per the product-claims.I totally agree with it.This product works fine. Overall ,I would like to say that this micellar water has become my new favourite. I highly recommend checking this product out! Have you tried this product? How was your experience with it? Which is your favorite makeup remover? Do share.